Come spend a relaxing few days with us! We're steps from the Lake Lure Flowering Bridge and a short walk to the Marina and Beach! LOCATION ~ CONVENIENCE ~ SELECTION + NO BOOKING/SERVICE FEES HERE!! Welcome to Lake Lure NC home to Four Seasons Cottages & Cabins. Offering you the best vacation rental cabins in Lake Lure North Carolina. Select from several lodging options to fit both your budget and your personal needs for that perfect stay. 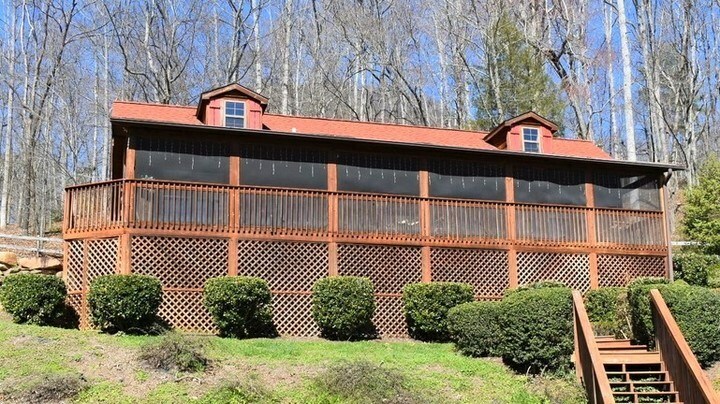 Located 1 mile from nationally acclaimed Chimney Rock State Park in the beautiful foothills of the North Carolina Blue Ridge mountains, our spacious, immaculate cottages and log cabins are perfect for a romantic getaway for two or a family vacation for up to ten. Searching for the perfect location? Our cabins are centrally located to the Lake Lure beach yet tucked away from the buzz and traffic. Walk to: the Lake Lure beach & water park on Lake Lure, the Lake Lure marina w/boat rentals, playground and fishing, our popular Flowering Bridge and more. Completely surrounded by the majestic mountains of the Hickory Nut Gorge or sit in privacy on the riverfront. Conveniently located to Asheville, the Biltmore Estate, Tryon International Equestrian Center and Chimney Rock State Park. Discover a great vacation escape every season of the year!